I love trying seasonal recipes, but with a new babe in tow I haven’t gotten that ambitious this Fall as some nights feel like a scramble just to prepare dinner. I have been scouring the internet for a caramel apple pie recipe, but have yet to find one that meets the craving. I may be heading to our local bakery soon to pick one up, because theirs is hands down the best! 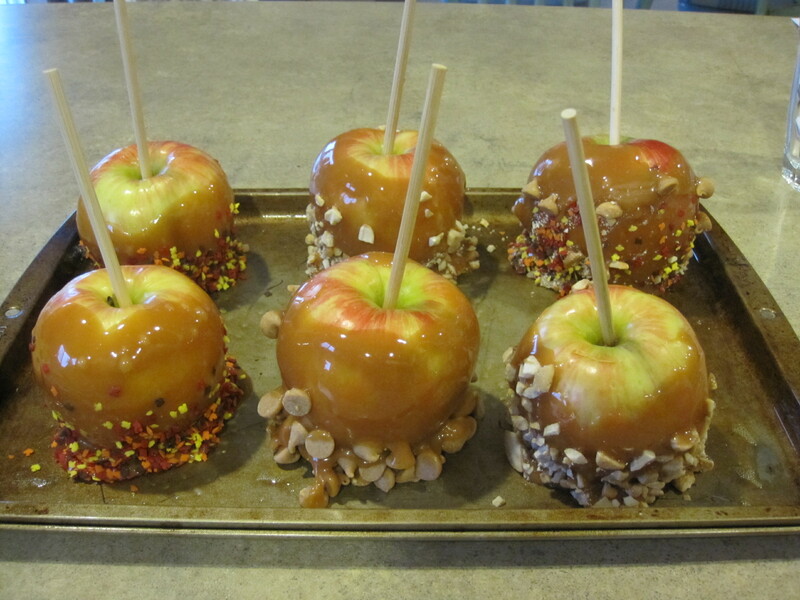 So far we have substituted the pie for caramel apples, which the boys love. I used this recipe super easy, but would do more apples and less caramel on each, because once it cools and thickens it is a little too sweet. We also got creative rolling them in different toppings, chopped cashews, chocolate sprinkles and reeses peanut butter chips, my fave. If you are looking for some other Fall favorites try apple pie dip or better than pie pumpkin dessert.